This ADA compliant drain is a great solution, providing an additional 6" of space under the counter, for those who want or need more room. Made from solid brass with a 1-1/4" connection. This drain features a new more decorative grid and works for lavatories with overflows. Tile-Insert Linear Drain 54 Inch. 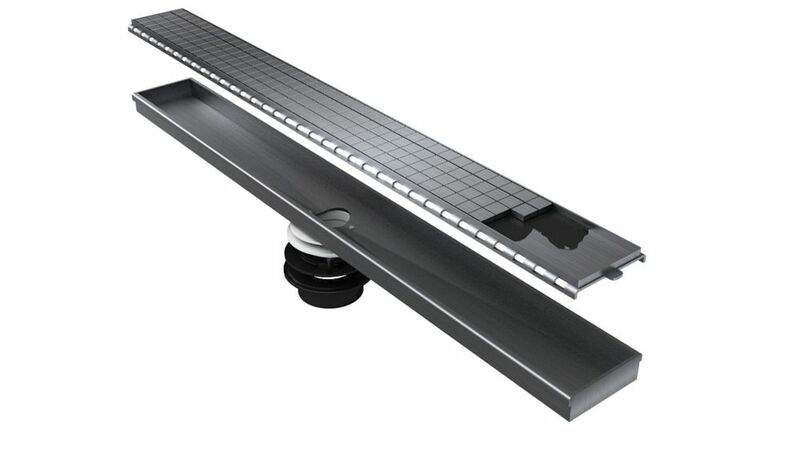 Length Create an Invisible Look by Using Your Own Tile Home Depot and JAG Plumbing Canada products bring you a Selection of Quality Linear Drains manufactured by the Canadian based Shower Grate Shop.